HEALTH chiefs defended their controversial decision to hand control of three GP surgeries to a giant American company on Tuesday night – but risked further antagonising their opponents by claiming they had the “moral high ground”. The defiance came despite a decision by Camden councillors to refer Camden Primary Care Trust’s handling of the takeover to health secretary Alan Johnson,. A cross-party team of backbenchers said it was taking the rare step because it was concerned that patients had not been consulted properly. Members said the possibility of a “new type of private provider” coming in had not been flagged up during the early stages. The Health Scrutiny Panel hauled in senior PCT figures to explain how they reached the decision to hire UnitedHealth, the largest health care provider in the United States. The company began its operations at the Brunswick Health Centre in Bloomsbury and surgeries in Camden Road and King’s Cross Road at the end of last week – but objectors are worried it will be too interested in profits and pleasing shareholders. UnitedHealth insist it will make life easier for patients. With public feeling running high, Dr John Carrier, the PCT’s chairman, hit back at critics. He said: “I don’t think this is privatisation if you look at the principles here. The final contract was signed last week despite in the midst of stormy protests. He said the PCT had to pick a bidder who provided value for money as well as quality. But his words were met with heckles from the public gallery of the Town Hall and repeated cries of “disgrace”. 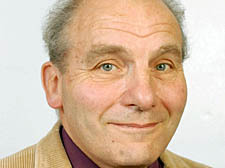 The panel’s chairman Councillor David Abrahams, a Liberal Democrat, warned that he would stop the meeting. Public confidence in the PCT’s board is at its lowest ebb in recent years and patients have passed a vote of no confidence in them – a move endorsed by MP Frank Dobson. PCT chief executive Rob Larkman said UnitedHealth could not have been ignored. He added the company’s operations should be distinguished from its American arm, which has faced fraud charges over medical insurance claims in the United States. Pressed on how different bidders scored in the assessment period, Mr Larkman said he was bound by “commercial sensitivity”. PCT contracts chief Liz Wise, however, did confirm that a threshold of 80 per cent, set for a series of different categories, had not been met by any of the bidders and that the target had to be lowered after the tenders had been submitted. “We didn’t think it would be a sensible use of public money to stop and start the process again,” she said. Conservative councillor Keith Sedgwick said: “We have got a healthcare provider of a standard that was not intended by the PCT originally.